A self contained collection of FRPG gag-strips. 24 pages, b&w, full colour cover. The continuing exploits of an adventuring duo, as they prove themselves to be more role-players than role-models. This is a standalone expansion, and you don’t need to install Volume 1 in order to play! 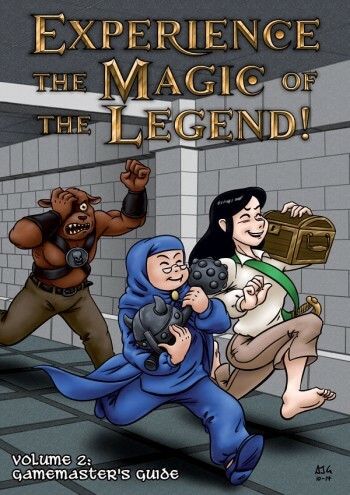 This collection of comics, originally published online at www.favouritecrayon.co.uk, is packed full of #mmo #rpg #metahumour, has no DRM or region locking, and does not require an active internet connection! A self contained collection of gag-strips, by Arthur Goodman. 24 pages, b&w, full colour cover. Winter 2014.